Joyoung Soymilk Cooking Machine DJ13M-D81SG is 2015 latest soy milk machine model. Joyoung DJ13M-D81SG has two innovative design: 1. Grinding technology using "broken free filter system" technology, crushing effect increased by 40%, milk can be drunk directly without filtering. 2. Boiled technology is taking a three-dimensional style kitchen fire boiled heating technology, combined with precise temperature control technology, the full release of nutrients. 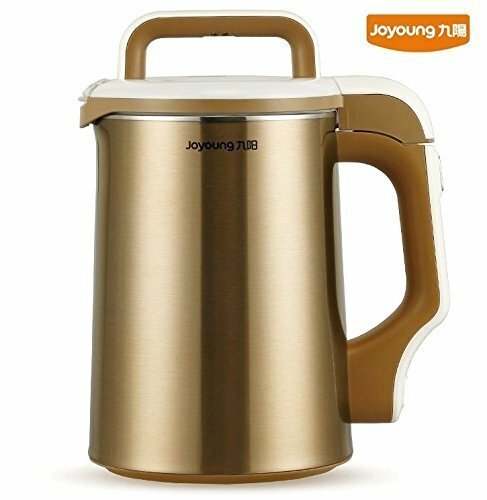 Joyoung DJ13M-D81SG has powerful functions, can be made Dry bean, Soaked bean, Double thick, Grains Double thick, Rice paste, Jam, Juice, soup, green bean, baby food supplement, to meet the nutritional needs of the whole family of different ages, different flavors to your family.